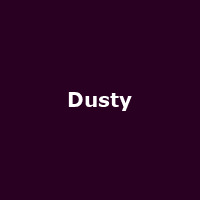 Dusty is a new, multi - media "fusion Musical". Celebrating the career of Dusty Springfield, a true innovator, this theatrical event seamlessly combines the most up to date 3-D technology and digital media with a recognisable musical theatre format of live performance, music and dance. The story is told through the eyes of Nancy Jones, a childhood friend, and key figures who accompanied Dusty on her journey. Dusty Springfield was the leading female British pop singer of the Sixties and she continues to be an inspiration for many British female artists. Her popularity endures as her music continues to be heard on radio, television and in film today. Please click on the Book This Offer button below for details and availability.